A man has been found guilty of murdering his partner at their house in Edinburgh. 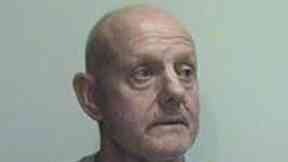 Robert Douglas, 63, subjected Marie Walker, 61, to a "horrific level of violence" last August. She was found dead inside the Pennywell Road house after her daughter called police saying she was worried about her mother's welfare. Douglas was also found injured and taken to hospital by officers before being charged. He had denied murder but was convicted on Thursday at the High Court in Livingston. Douglas, who had been with Ms Walker for three decades, will be sentenced in May. Detective Inspector Susan Balfour said: "Robert Douglas subjected his partner of 30 years to a horrific level of violence that ultimately led to her tragic death. "It is my sincere hope that this verdict gives them some form of closure and my deepest sympathies remain with them."